Full League history Spurs v Watford. Time to get on with the job, Spurs! 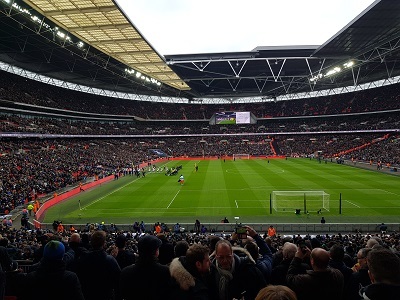 We've had to wait nine days, and all weekend for the chance to get the FA Cup semi-final defeat to Manchester United out of our system, and on form the opportunity to get back on the winning track does not come better than a game against out of sorts Watford. This will be our first and last Monday night game of this season. Whilst this has been "The Hornets"' fifth season in the Premier League this has been the third consecutive season of this spell, and although mathematically they could still finish in the top half, or at least get their best Premier league position, their current form is poor. Watford are without a win in six games and have managed home draws against Bournemouth and Crystal Palace only. The highlight of their season has surely been the 4-1 home win over Chelsea in early February, which came at the start of three wins in four games. At the start of the season, Watford's manager was Marco Silva who made such a good fist of trying to keep Hull up last season. Silva had his head turned when Everton sacked Ronald Koeman early in the season, and although Watford would not alllow him to go, his focus on Watford's future was not right. Silva was still in charge when we visited Vicarage Road in December (Watford 1 Spurs 1, 2nd December), but his club blamed the attraction of Everton for his departure in January. As far as I know Silva is still on the market for a managerial post. Watford appointed Francisco "Javi" Gracia in January, but the managerial turnover at Vicarage Road is very rapid, and on current form I would not rate his long term prospects as good. Indeed, on present form, I'd go so far as to make Watford one of the favourites for relegation next season. They are not quite mathematically safe this season because Southampton, who beat Bournemouth this weekend, could catch them, but I reckon the Hertfordshire side will survive till next time around. One table Watford can top is the Physio Room injury list, as they have no less than 10 players who are either confirmed absentees or doubts. Confirmed absentees include former Spurs defender Younes Kaboul, who hasn't played since September with injuries to both his feet. Tom Cleverley, once of Man Utd, England and Everton, hasn't played since January and has a hamstring issue. Another player who once played at Goodison Park, 24 year old Gerard Deulofeu, was signed on loan from Barcelona in January, but he is out for at least another week recovering from a fractured foot. Even club captain Troy Deeney is amongst the likely absentees. A place like the Eurogrand Casino could be a source of entertainment for those forced to miss this and other games. Another former Spur, and a favourite with the crowd too, is Heurelho Gomes, but he has been out of favour with Gracia, who prefers Greek International Karnezis, who was also signed in January, on loan from Udinese. Etienne Capoue hs played every minute of Watford's last 10 league games, but he hasn't scored a Premier league goal since last August. Last season Capoue started with 4 goals in his first five league games, and scored 7 over the course of the season. Our away game in December was frustrating with penalty shouts at either end turned down by referee Martin Atkinson. Both goals came in the first half with Son scoring our equaliser. Last season's home game was much more fun. The game was also played in April, and Son scored twice. Dele Alli got the ball rolling with an immaculate goal and Eric Dier scored before Son's contributions. Watford became the second team last season to concede four goals at home and away to Spurs! Mauricio Pochettino confirmed that Danny Rose returned to training yesterday (Saturday), but I would be surprised if he got this outing. Harry Winks' absence continues. Our best goalkeeper (and club captain) will return, and our best team will surely play in a match where it is crucial that Spurs return to winning ways after Chelsea closed the gap behind us to two points. We still need a minimum of seven points (assuming we maintain a superior goal difference) to ensure Champions League football but let's play safe and say we need eight. I'd like us to win all four remaining games, and I think we should do that! We have two games in hand over Liverpool, who travel to Stamford Bridge next Sunday, so one or both of our rivals will lose points. Never mind fourth place, third place is in our hands. I back us to start with a convincing win tomorrow night, and have gone for a 3-0 win. It's time to get on with the job Spurs! Match referee Michael Oliver is kept busy at home and abroad as ever. He didn't have a game last week, but recently took charge of the potentially feisty Championship game between Sheffield United and Cardiff, and a Merseyside Derby. There was controversy over his sending off of veteran goalkeeper Gianluigi Buffon in what will possibly be his last Champions League game when protesting Mr. Oliver's last minute award of a penalty to Real Madrid. Ronaldo scored to carry Real Madrid through to the semi-finals. The referee's decision was widely supported too. Spurs have only seen Mr. Oliver in two away games this season. Both were victories - at The London Stadium and Turf Moor. Mr. Oliver will also officiate at this year's FA Cup Final. It would, of course, have been lovely to be seeing him again. � "It was Twenty Years ago today!" - reviewing the 97/98 season match by match.